Happy Sunday everybody we are officially ending July in just a few days! It is crazy to think that we will be in fall in about a month; time sure does fly bye. I am sharing today wedding season dresses. I have collaborated with StyleWe to bring you this LBD and adding additional dresses to get you ready for wedding season. I love this little black dress by StyleWe it has little jewel details on the petals and it is high-quality crochet material. You can get away with buying an affordable dress at: T.J. Maxx, H&M, or even Forever 21; it's all about the quality of the dress that makes it look "high in price". So, I will be adding a variety of styles from low to high to have you looking fab for Wedding Season. 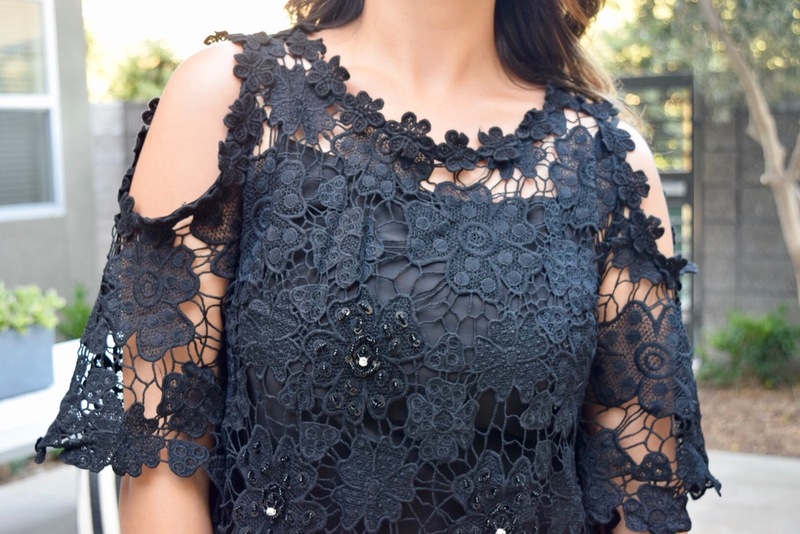 I know it can be difficult to figure out what to wear for any occasion, but you can never go wrong with a little black dress or anything lace. I hope this will help you the next time you go shopping and gives you a little style inspo.